this would be my first ever blueberry simplex, but love the hedgehog so much. This would be my first blueberry simplex but I would really love to try one! So exciting! We have never tried Blueberry Simplex. This would be the first Blueberry in our stash! Fingers crossed and thanks for the opportunity. LOVE you guys and I love Simplex!! ?? this would be my first blueberry simplex! I've heard great things about them though! Those hedgehogs are too cute! We have a blueberry pocket and capri. Love these! never tried this brand, but excited to! I would love to try a newborn Blueberry on our newest little guy. We haven't tried Blueberries yet, just trying to build our stash for baby that is due in 2 weeks!! I've used these before when my son was younger they worked pretty well for overnight with an added booster now he just wears them during the day with a booster?? I don't think I used a blueberry with our first child but we're cloth diapering with our second when it comes so we may expand our collection. I love hedgehogs but if you would give me any blueberry diaper, I won't complain! Thanks for the opportunity! I've never tried a blueberry simplex. The prints are so adorable though! I have 4 blueberry coveralls. And I love them they fit over my woombie fitted perfect. So exciting!!! My baby is due in March and these would be wonderful to have to try out!!! Good luck everyone fingers crossed. This would be my first Blueberry Simplex. New to CD but would love to win and try them! I have two simplex 2.0 but turned big alittle and the medium is small .. so he is in between .. also have the blueberry aio with dry insert .. the hedgehog print is amazing .. love to try it out ???????????? We've got a blueberry cover, but this would be the first simplex. They look great. We've used blueberry pocket diapers before and half of my nb stash for my new baby is their nb simplex diapers! Oh my goodness! I love blueberry! And all the prints!! !.id be torn between the cute nautical prints! This would be the first Blueberry simplex I'd try. We're still figuring out what brand we like best, so this would be a great opportunity to try a new one. I absolutely love blueberry simplex diApers !!! I would love to have new prints ! Simplex's are great. Could always use another for our stash! Haven't tried these yet and would love to! That hedgehog is to cute! These are such cute prints. Love Cloth Diapers! Thank you Cloth for all the cute fluff bums! I have used (and loved) the newborn version and would love to try the OS! I haven't tried any Blueberry products, but would be happy to try this one! I love the birds and kittens! I would love to try this brand! Fingers crossed! I've never tried these type of diapers before as this would be my first time. I'd love to try this diaper! If i win it will be my first blueberry simplex. Inhave one blueberry diaper that i got preloved and i love it! Would love to win !! This would be my first Blueberry Simplex. Thanks! Would love to try this brand. Really like the new prints they just came out with! I have 1 Blueberry Simplex that's preloved. I'm very interested in all the new prints and switching all my diapers out for Blueberries!! This would ( I think) be the first Blueberry Simplex for my grandson! I love blueberry OS simplex with stay dry. My favorite fit. The Blueberry OS Simplex is one of my favorite diapers! Blueberry is one of our favorites! Go to night time diaper! Have never tried Blueberry but I have friends who love them! I have not yet tried Blueberry Simplex yet, but have heard good things and really would like to try them! I love love love love the fit! 8 cutmrrejtkyninkynown two blueberry simplex organic diapers. One nb and one os. I LOVE them. And I've got my eye on hedgehog. I love that print!!!! I'd love to try Blueberry diapers! I don't think my daughter has any Blueberry Simplex in her stash - yet!! I would love to gift this to her to try. I would love the Hedgehog print! It is so cute! I love Simplex! I have used Blueberry before! I have a Simplex, but only one. We have not used any Simplex yet, nor do we have any in our stash for our coming LO!! I would like to try one out though!! I have heard that they are a great overnight diaper. CD Is so addictive especially when the prints are so adorable! My 2 mos. old grandson's first diaper was a Blueberry Capri cover for prefolds, next we tried a Blueberry Mini Coverall for a fitted, then we then broke down & purchased a Blueberry Simplex with stay dry! We love Blueberry diapers..all of them! They are so well made & the patterns are adorable! Blueberry Simplex are the best!!! I love the new Baby Birds print! We Love blueberry at our house!!! Would love to add to our stash! I've never used a simplex before, but the design is nice and the hedgehogs are so cute! I love blueberry covers!!! I would like to try the simplex too!!! This would be my first Blueberry simplex (actually my first Blueberry product!) I would really love to try them, Ive heard great things about their diapers! I love blueberry covers!!! I would like to try the simples too!!! We love our Simplex! Thank you for the opportunity to add another to our stash! This would be my first blueberry diaper if I won. One of my favorite diapers!!! I just wish they weren't so pricey! I've always wanted to try a Blueberry Simplex & love the adorable hedgehog design! ?? We have some of these and are waiting for a few more pounds before they'll fit! I don't have a blueberry, I'd love to add one to my stash. The new prints that came out are adorable, I think "birds" is my favorite! I have a couple of Blueberry Simplexes. I use cloth diapering,but have never tried this brand. We are expecting our second baby in April. We will have two in diapers. I've got one Simplex and would love another! Interesting. I haven't tried the blueberry simplex. I'd have to see them in person to understand, although I like the pocket that's open on both ends. This would be my first Simplex and I would love to try it! Amazing giveaway! We haven't tried a simplex yet but I'd love to! I actually haven't used one yet! I haven't tried Blueberry Simplex. This would be my first one. This would be my first ever Blueberry! 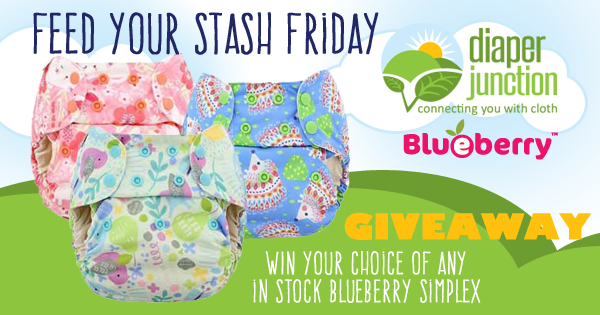 If I won this giveaway, this would be my very first blueberry diaper! I have heard so many great things about them and I would love to give them a try! I haven't tried any blueberry products at all! But I also don't have any in my stash yet! Baby isn't due till April! But I would love to win one from this giveaway! ... Off to go fall in love with a print! We've never tried a blueberry simplex but we simple love their Capri and coveralls! 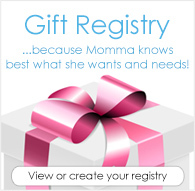 It would be fantastic to try on for our little girl. Never tried them but would love to! I have not tried these before. Thank you for the giveaway! I've been dying to try these forever! I haven't use this one yet as I'm starting my cloth diaper stash but would love to try this one out! These look like awesome diapers. Would love to try them!